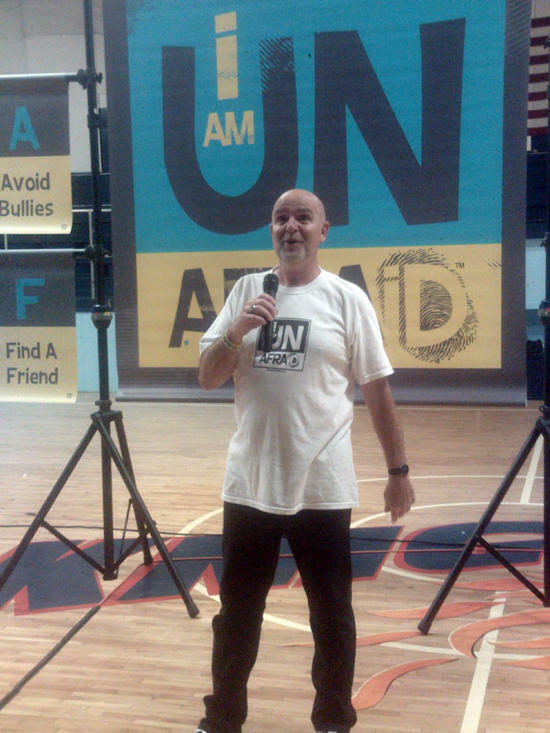 On Thursday, May 3rd, Auburn and West Side School students were fortunate to have Dr. Jay Banks come to their schools and present an anti-bullying program titled, "I am UNA.F.R.A.iD." Dr. Banks travels all over the United States teaching students how to Avoid Bullies, Find a Friend, Report Bullying, and Act Confident. The students, as well as the teachers and staff, really enjoyed his entertaining performance with an important message. Special thanks to Middle Tennessee Electric Customers Care and Cathy Mitchell for making this wonderful program available to our students!